They are finally here! The first ever full color CSPOA National Badge Sticker for your vehicle. 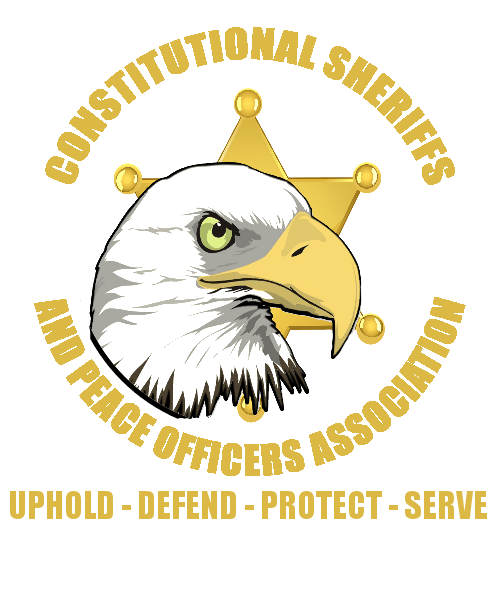 Show your support for constitutional sheriffs and support for the CSPOA with the CSPOA National Badge sticker. This sticker is a nice 5″X5″ size and is very visible on the road. This is a great way to spread awareness on the road! Made from high quality 3M 10-year laminated vinyl, this sticker will last for years to come. These also make great presents or stocking suffers! Includes vinyl transfer tape.